The Dubai government has recently released its plans to begin building a city that will bring all real-estate related businesses together in a sustainable environment. The city, for which building commences in 2015, will become the centre for all real estate businesses in Dubai. In the city will be headquarter offices for the Dubai Land Development (DLD) and the Real Estate Regulatory Agency (RERA) arm. 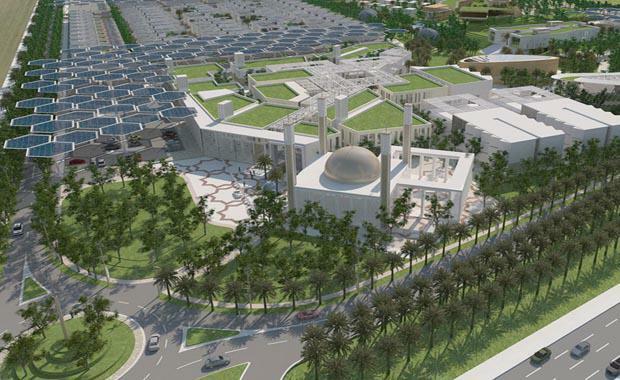 Also included in the new city will be a real estate court, museum, university and a sustainability centre. There will not only be space in the city for Dubai real estates, there will also be a real estate world centre, including spaces for international property offices, real estate development firms and real estate brokerages. However, the main focus for this new city, which has modestly, yet appropriately, been named the ‘Perfect City’ isn’t only having all of Dubai’s real estate sectors in one area, but also promoting sustainability. The area will be 100 per cent sustainable, with an estimated 20,000 trees to be planted in order to help reduce the carbon footprint of the area and 75 per cent of the city will be green space, with a 500 metre long canal as a feature of the city. The idea was presented to his Highness Shaikh Mohammed bin Rashid Al Maktoum, the Vice President and Prime Minister of the UAE and ruler of Dubai when he visited the DLD earlier this year on his tour of Cityscape Global 2014. The Perfect City idea was presented by the director-general of the DLD Sultan Butti bin Mejren, the assistant director-general Majida Ali Rashid and multiple DLD staff and will be the first fully sustainable city in the world. “We decided to surprise visitors to this year’s Cityscape with this unique initiative that showcases a quantum leap forward in the concept of sustainable real estate developments,” Bin Mejren told Sourceable. Bin Mejren also added that his Highness and his desire to create a future environment that is sustainable for the next generations inspired the idea for the city. “Our efforts derive inspiration from the vision of His Highness Sheikh Mohammed bin Rashid Al Maktoum. “His leadership and ability to set out a path for the future motivates us to produce new projects that set the pace for Dubai’s continued evolution as the world’s foremost innovative property sector,” Bin Mejren said. The idea for a city designed around a particular business or trades, follows on from the ideas previously seen in Dubai, such as the Dubai Internet City and Dubai Media City. However, these cities were not designed to be full sustainable like the Perfect City has. Work on the world’s first ‘perfect city’ is expected to begin in 2015 with completion expected in 2021.